Regardless of the size or complexity of your blueprint scanning needs – eRecordsUSA, a leading blueprint scanning company has the expertise and equipment needed to deliver high quality results. 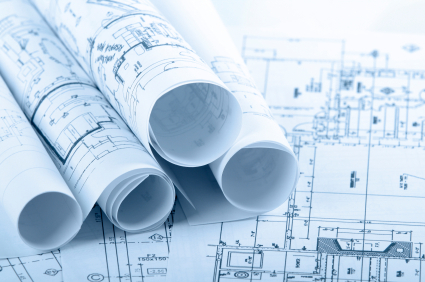 To begin digitizing your building plans and drawings, call 855.722.669. During the scanning process, every detail and image included within your blueprints is transferred to a digital format. At eRecordsUSA, we have the hardware and software necessary to convert your blueprints to TIFF, JPEG or PDF formats, per your request. Depending upon your needs and preferences, the scanned blueprints can be converted in full color, gray scale or in black and white. We can then deliver the new electronic blueprints via a CD, a portable hard drive or we can transfer the files to you over a secure FTP connection. Unlike many other blueprint scanning services, eRecordsUSA is capable of adapting solutions to fit your unique needs. We have been assisting organizations, government agencies and businesses with diverse scanning needs for many years, and can tailor our services to any project. We provide wide and large format scanning packages and are capable of scanning architect plans, maps, and any other types of documents your project might require. Our team can handle any blueprint scanning project, regardless of size or complexity, without ever outsourcing or subcontracting any responsibilities. At eRecordsUSA, we understand that when you are supervising construction projects, you already have myriad responsibilities and challenges. You do not want to waste your time or resources on blueprint scanning services that cannot deliver timely, efficient and secure services. We guarantee that, when working with eRecordsUSA, you will receive the scanning solutions that will make your job easier. Not only will we digitize your plans, making it easier for you to store, access and share the information, but we do not get paid until we deliver high quality results. To receive a no obligation, free estimate from leading blueprint scanning company, call +1.855.722.6669 or eMail us at info@eRecordsUSA.com . eRecordsUSA is a leading Blueprint Scanning Company offers scanning services in following areas of California, San Francisco, Marin, San Jose, San Mateo, Mountain View, Redwood City, Santa Clara, Silicon Valley, Sunnyvale, East Bay: Alameda, Concord, Contra Costa, Oakland, Pleasanton, Fremont, Milpitas, Hayward, Dublin, Livermore, San Ramon, Napa Valley: Fairfield, Solano, Sonoma, Vallejo, Petaluma, Santa Rosa, Pittsburg & Martinez.